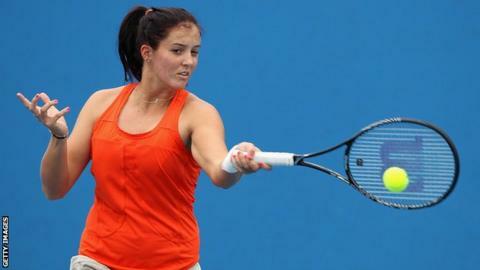 Former British number one Laura Robson hopes to make her return from 15 months out with injury at May's French Open. The 21-year-old, who had wrist surgery a year ago, has not played since the 2014 Australian Open. But she has used her protected ranking to gain direct entry into Roland Garros, which begins on 19 May. British number ones Heather Watson and Andy Murray appear on the entry list, as does Aljaz Bedene, who became a British citizen last month. Robson had been offered a wildcard to enter qualifying for March's Miami Open and, even though she declined, her agent Max Eisenbud said she was getting "closer and closer" to a return. Robson reached a career high ranking of 27 in the world in July 2013, but since then she has struggled with problems in both of her wrists, most notably on the left arm, which required surgery last year.